Your average user has one brand of cordless tools that they like to stick with. It makes sense on the jobsite to have all of your tools using the same battery and charger, to cut down on weight. 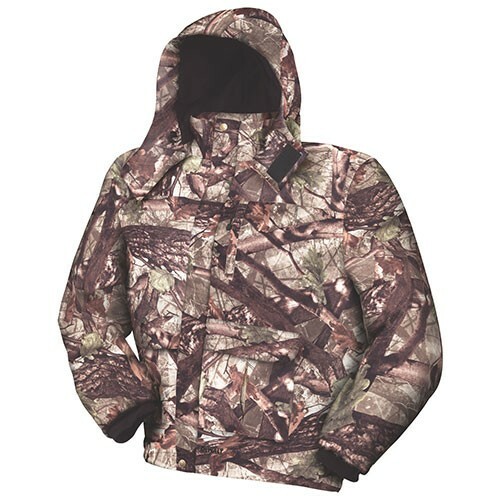 For this reason I am sure many people were anxiously awaiting DeWalt to come out with their own line of heated jackets. 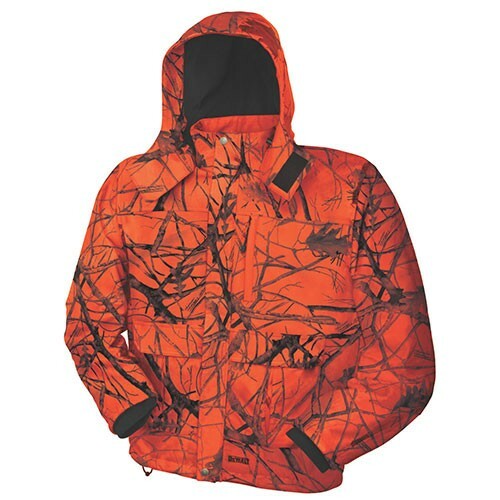 DeWALT's heated jacket line will consist of four styles: a soft shell work jacket, a hooded work jacket, a True Timber camouflaged jacket, and a True Timber Blaze Orange camouflaged jacket. 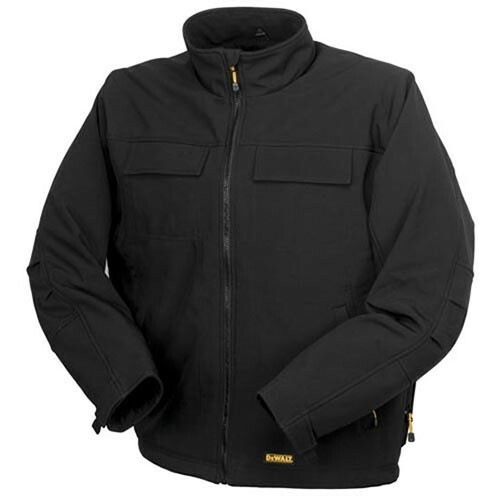 All jackets styles offer a water and wind resistant outer shell and three heating zones: one for each side of the chest, and one for the back. 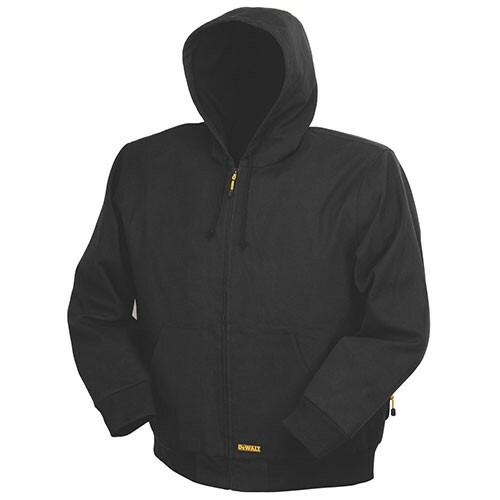 The non-hooded jackets also offer a fourth heating zone in the collar to keep your neck warm. DeWalt says that the jackets offer three temperature level setting that are controlled with an LED controller, but what I find most interesting is that they have also included a pre-heat mode. I assume you turn on this feature so you do not have to put on a cold jacket. Powering the jacket, is of course, a DeWalt battery. 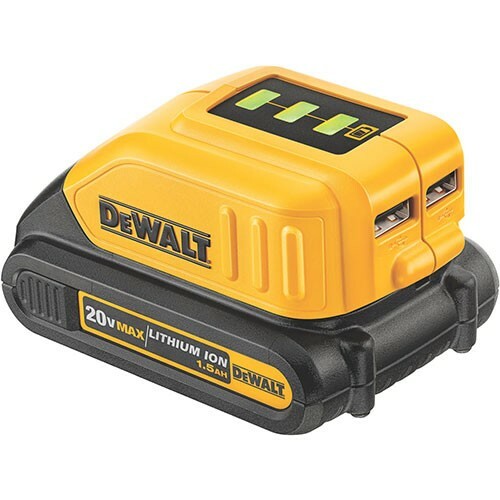 The system uses a USB power source that can be run off of a DeWalt 20V or 12V Max battery. 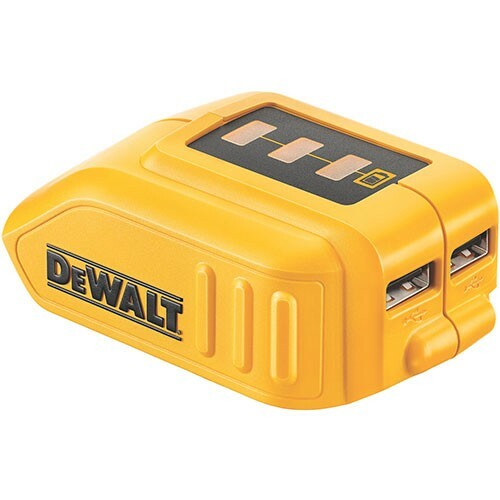 The DeWALT USB Power Source has two USB power ports that can power the jacket and a USB powered device, or it can be used outside of the jacket to power two devices. LED's on the USB Power Source indicate the power level of the battery when it is first plugged in, but turn off after 10 seconds to conserve the battery. The DCB090 USB Power Source will also be sold separately for between $20 and $30 and will be available this September. Heated Jacket Kits include A USB power source, a 20V Max battery and a charger. Bare Jackets include a USB power source.